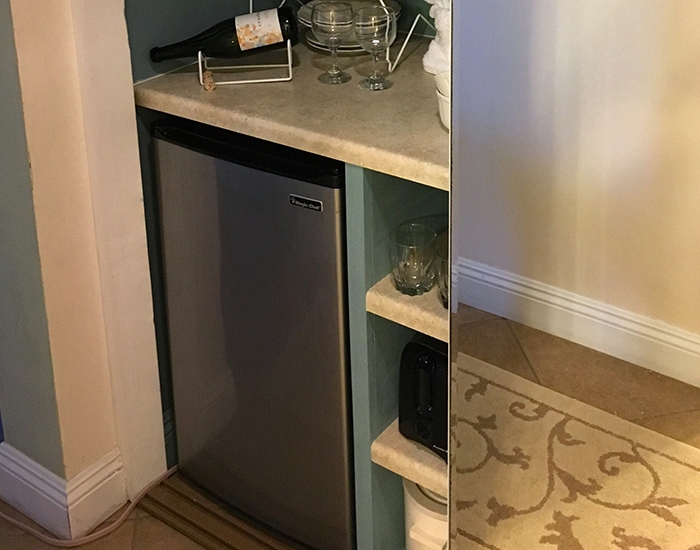 NOTE: We have just upgraded and remodeled these units adding top-of-the-line touches to make this a truly luxurious destination. 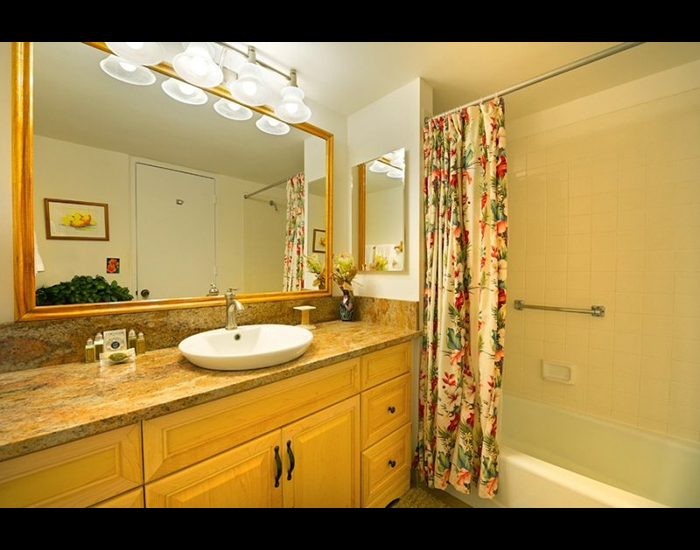 Beautiful granite countertops in the baths, new tile flooring, designer sinks, bath vanities and lighting, fresh paint, and large flat screen TVs are just some of the upgrades you will enjoy in HBR 6221/2. 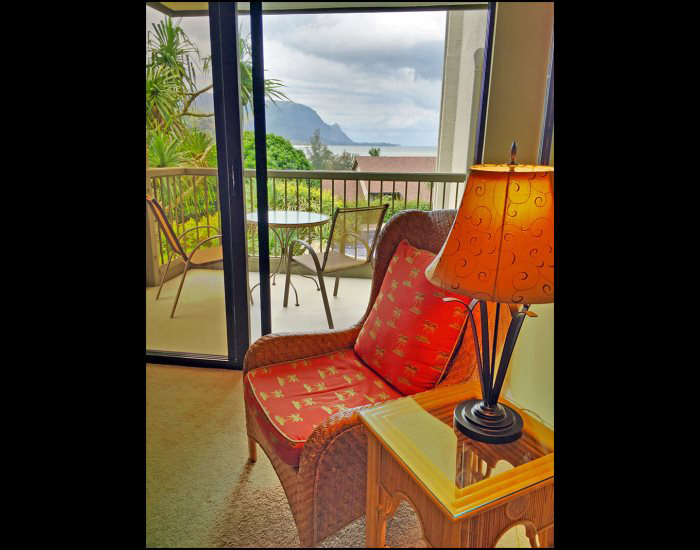 Experience the true spirit of Aloha in this relaxing vacation rental condo hotel room! 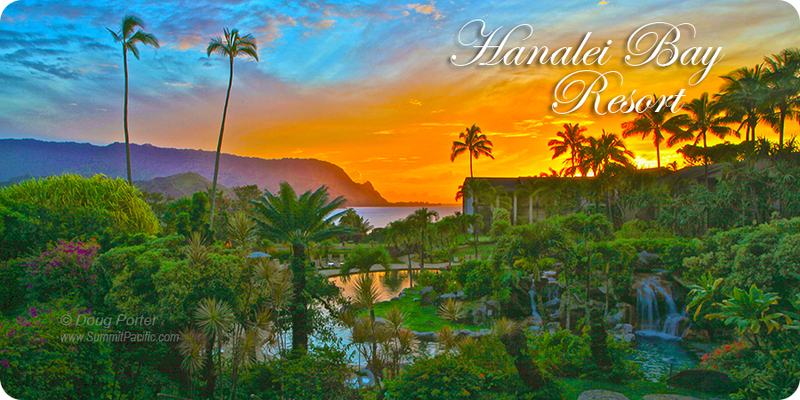 Enjoy a tropical drink on the private lanai while watching the sunset over Bali Hai and Hanalei Bay. 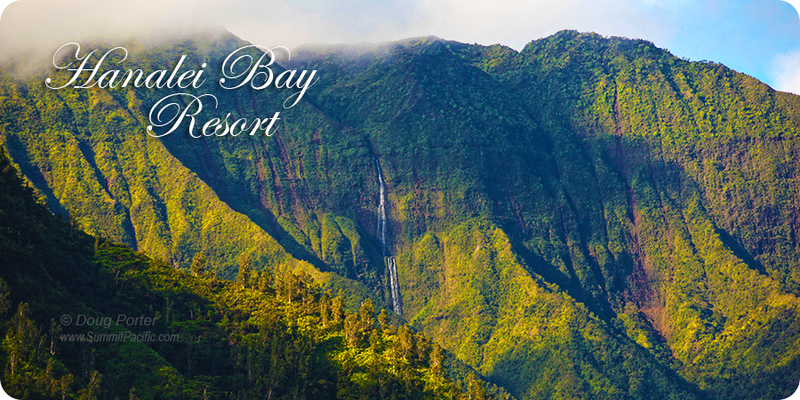 See spectacular waterfalls cascade down the 4000 foot mountains of Kauai. 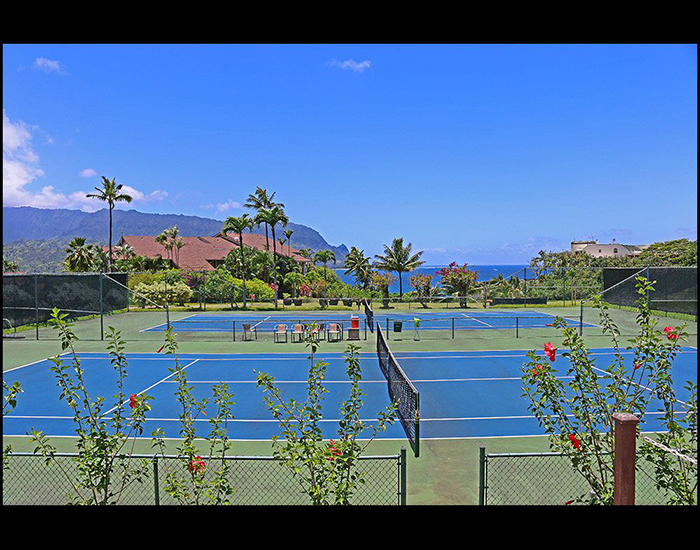 In addition to the blue waves of the Bay, this second floor condo overlooks the smaller, more private pool and barbecue area accented by lush bougainvillea and plumeria. 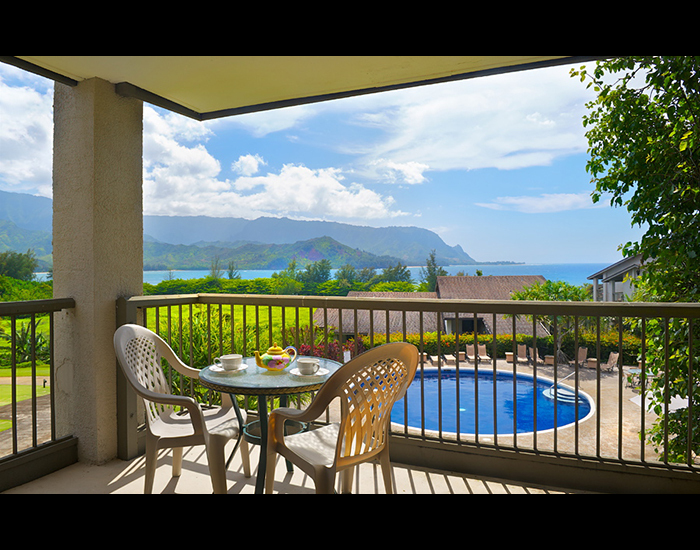 From the lanai, you can watch geckos sunning themselves and see tropical birds, including the endangered Nene, Hawaii's state bird. This romantic condo has a king size bed with en suite bathroom. Enjoy being close to excellent restaurants and live music. 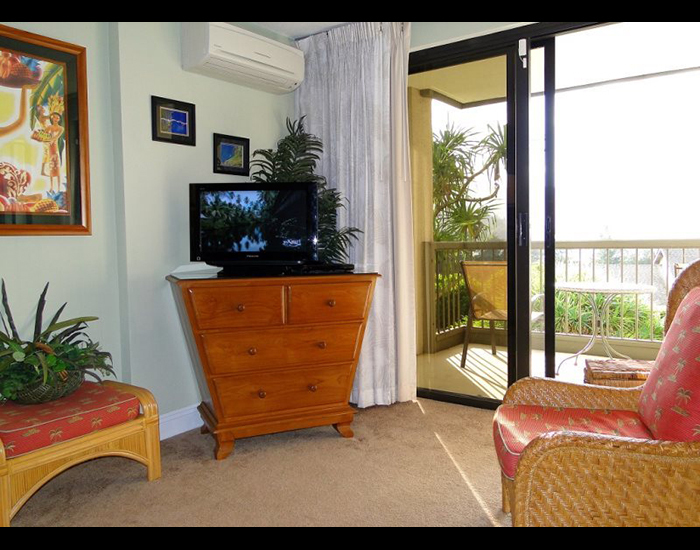 The air conditioner keeps you cool or you may prefer the refreshing trade winds through the louvered door. 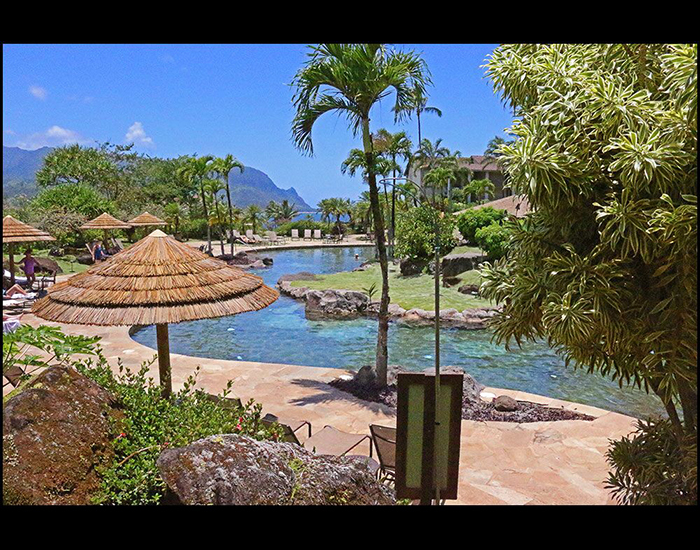 Enjoy a refreshing dip in the resort's sandy lagoon pool or take a short walk down the private path to fabulous Puu Poa beach for swimming, snorkeling and surf. 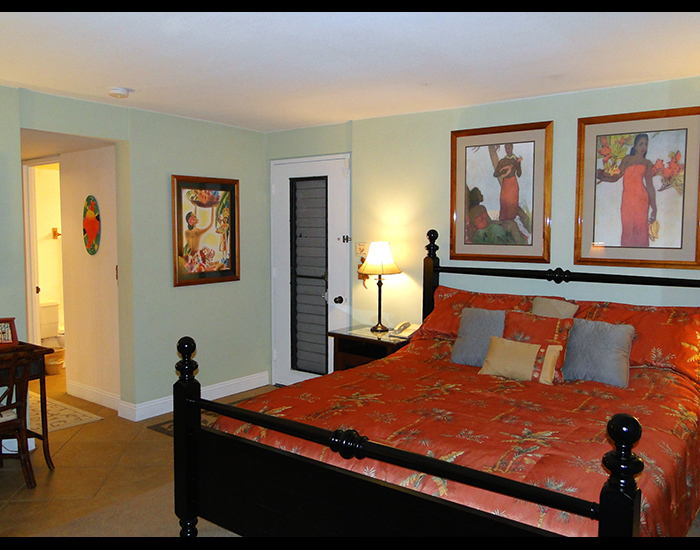 From the tropical décor to the koa framed island art to the comfortable custom furniture, this feels much more like a home than a hotel. This has been our privately owned "Hale Hallelujah" since 2000. 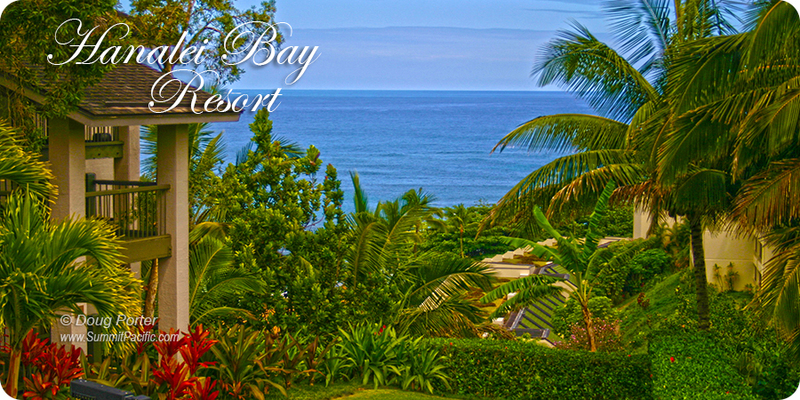 So whether you are planning a wedding, honeymoon, family reunion or a well-deserved vacation, we would love to share our little slice of paradise with you! Mahalo! 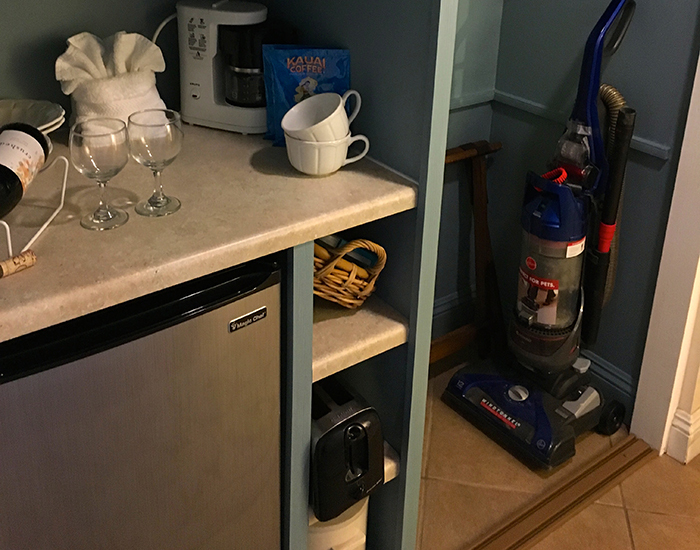 cable TV with VCR player, Internet access, coffee maker, clock radio, on-premises washer and dryer and more. 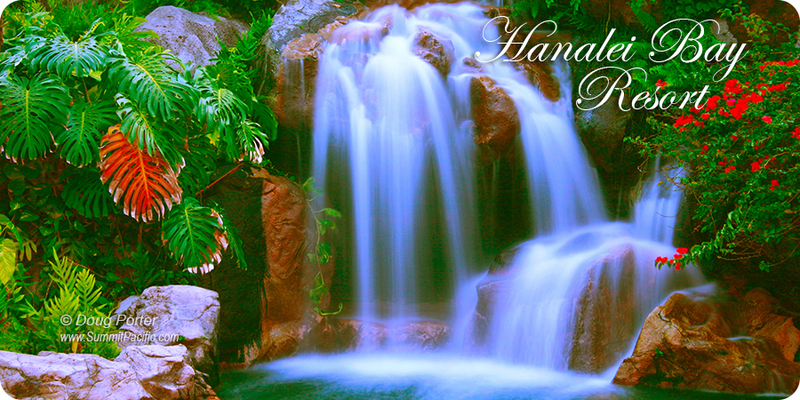 "We loved staying here--what a beautiful paradise! This condo is beautiful--all of your decorating and prepping definitely paid off--GORGEOUS! Hope to come back here soon. 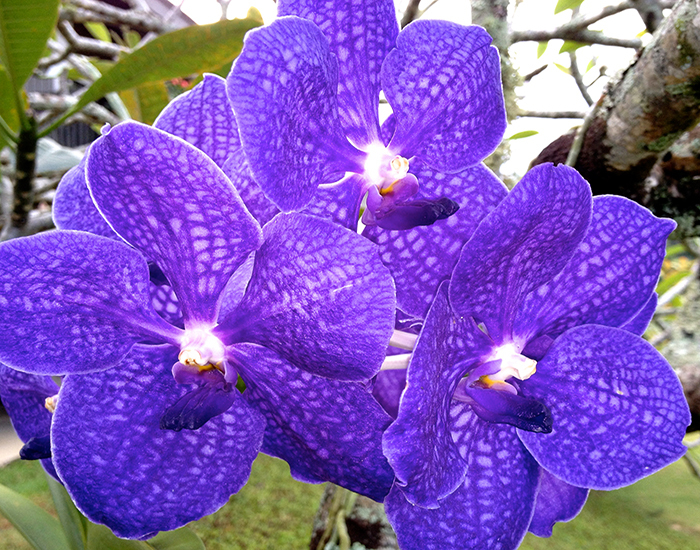 So many pieces of God's artwork here!" "At the time (we booked your condo) we did not realize how lucky we really were. 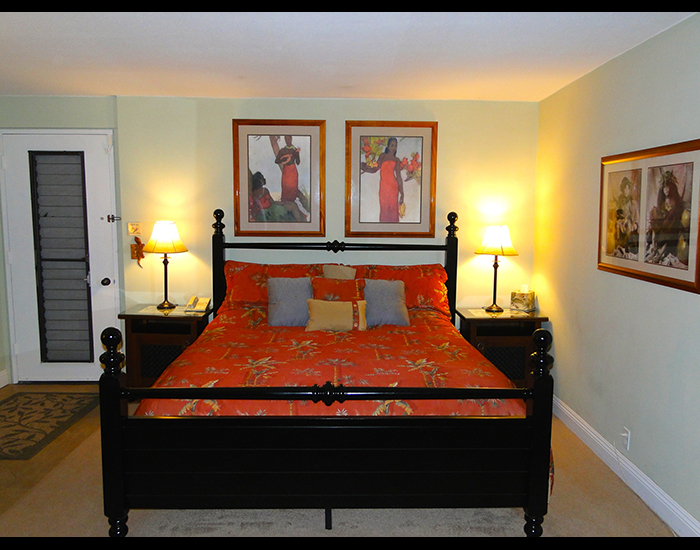 The week at your fantastic accommodations exceeded our expectations. We made a family gathering of our visit. The weather could not have been better. The week went entirely too fast! We definitely have placed this on our list of places to return to enjoy once again. Mahalo!" 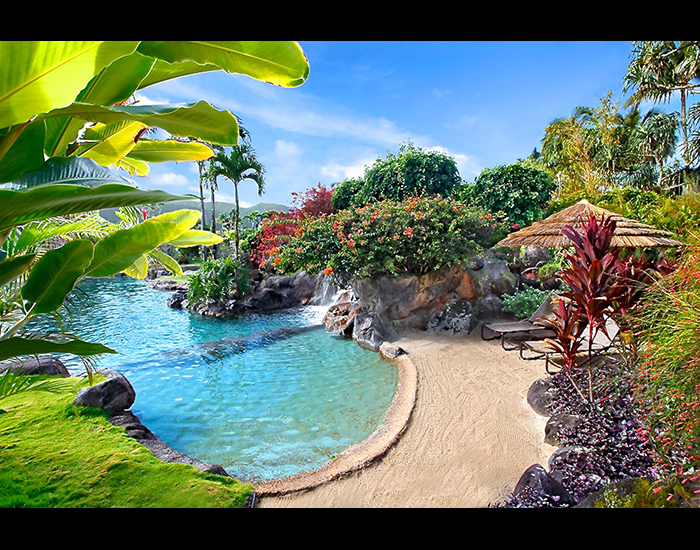 "This was our first visit to Hawaii and I don't think we could have picked a better island to visit or place to stay. What an incredible view you have to enjoy every day! 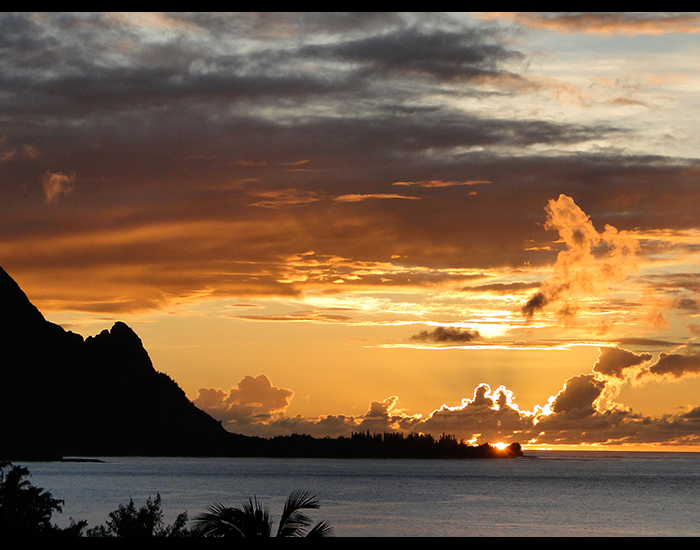 There are so many amazing things to do and see (we recommend the Na Pali coast tour by catamaran). 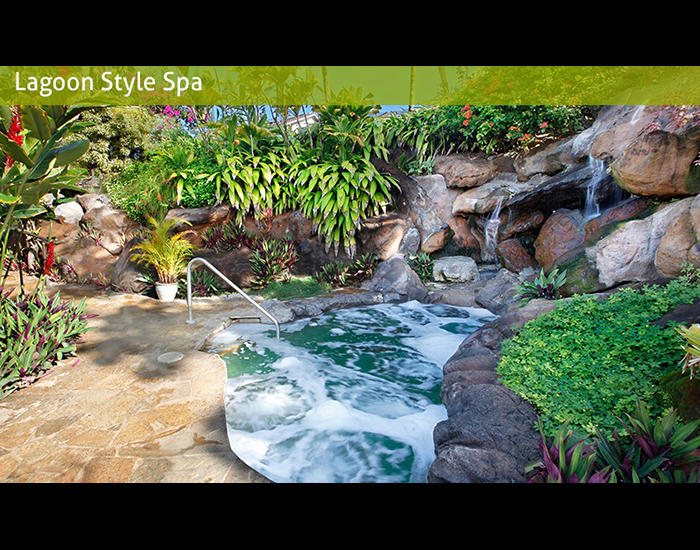 We also recommend taking a couple of days to do nothing but enjoy this wonderful, beautiful suite!! Thank you for making it available." "What a perfect place to celebrate a birthday! We spent the day on a boat touring the Na Pali Coast. We have snorkeled with sea turtles and fish of many sizes and shapes, hiked, swam, shopped and will forever be in awe of the views. 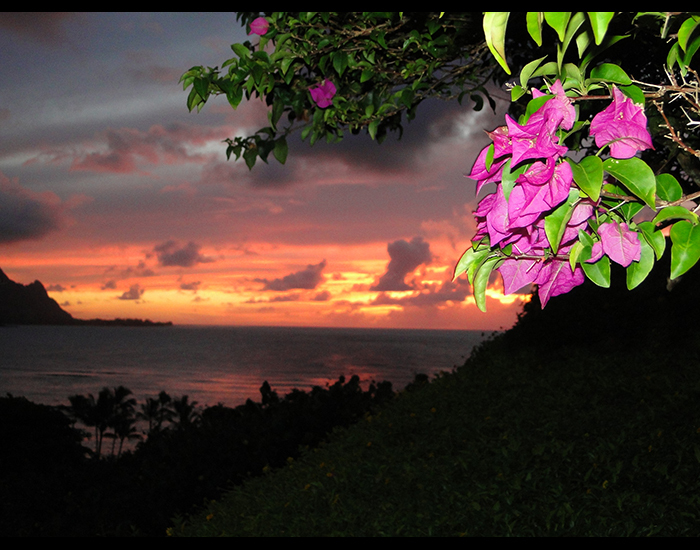 Your Hawaii home is welcoming and beautiful. We are so grateful to you for the gift of staying here. Mahalo--many times!" "Aloha! This was my first time in Hawaii and I'm sure I'll come back again. I'll tell all of my friends to come here to spend their holidays, 'cause this is the most beautiful place I've ever seen!" 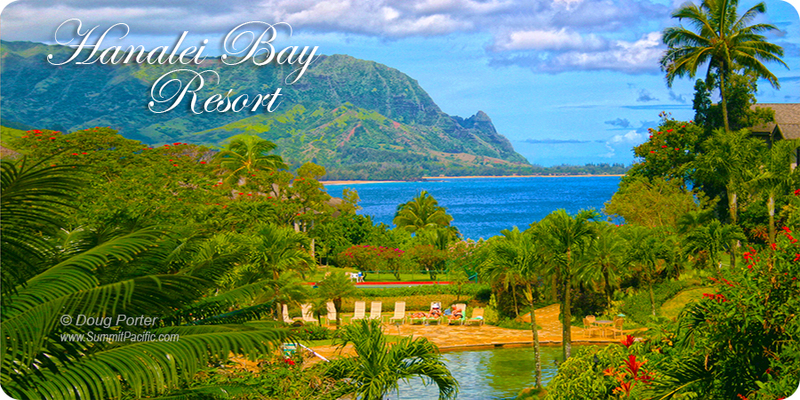 "Mahalo for a perfect venue for our honeymoon. We truly were destined to stay here. We loved the pools, the view and the warm home feeling we had here. Hopefully on our next visit we will be "three"! Thank you for wonderful memories." "It is our last night here and we are very sad to be leaving! This week flew by with all the activities you have to offer. 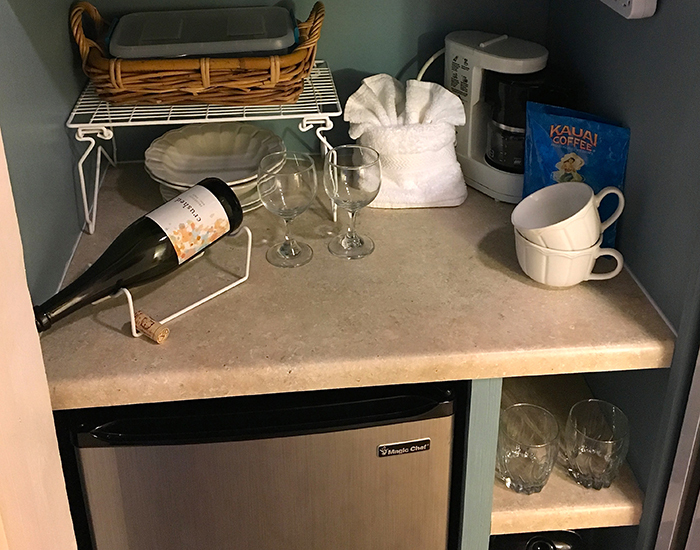 We are here on our honeymoon and couldn't be happier with this condo. The view is breathtaking and the location is very serene. 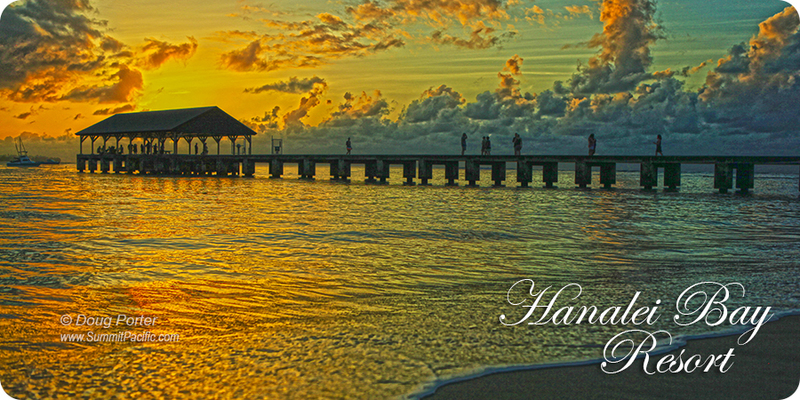 Thank you for sharing this piece of heaven with us! 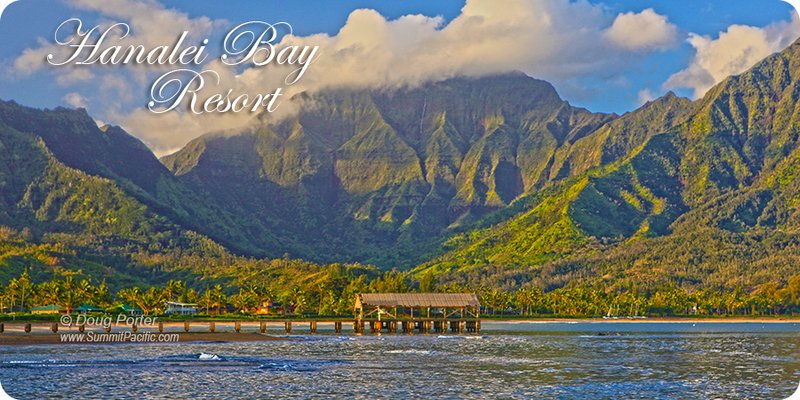 We were able to share our first week as a married couple on this beautiful island with these beautiful surroundings at this wonderful resort-- mahalo!" "We had such a relaxing time here! 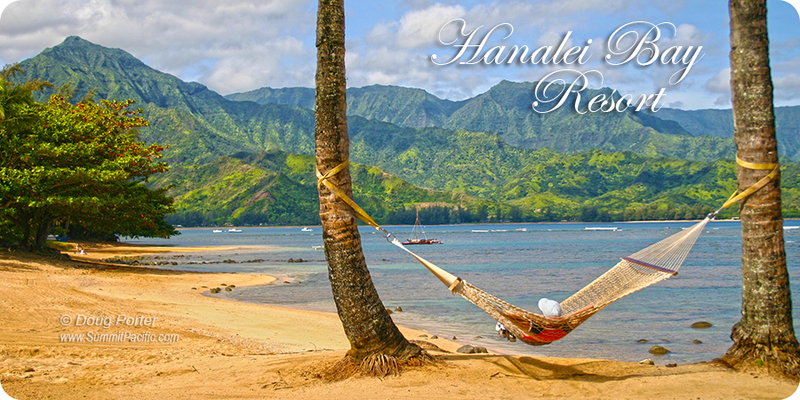 We've come back to Hanalei Bay Resort 3 times in the last 5 years, usually staying through the hotel. We loved staying in your home here--it is much more beautiful and personal than the hotel rooms. Our daughter, Adrienne, loved the bamboo instrument! Thank you. 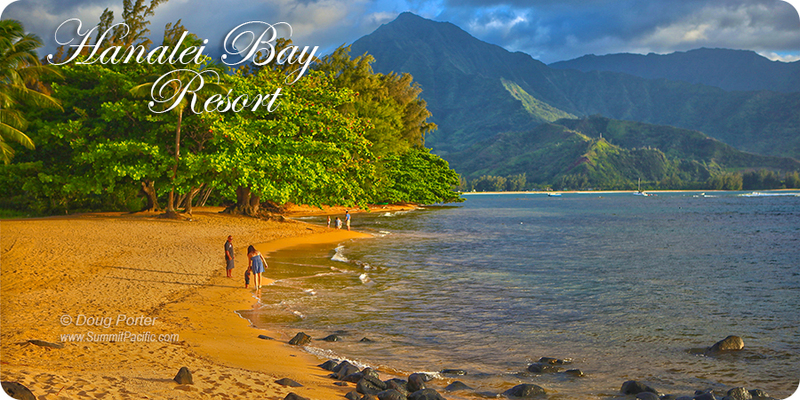 North Shore of Kauai will always be our favorite part of Hawaii--my favorite place in the world." "We've had a wonderful week. Your condo is fantastic! It was perfect for our family. The views are incredible. We really enjoyed the pool area and took advantage of the beach, tennis and massage. Thanks for sharing your paradise!" "Thank you for sharing your beautiful "home away from home" with us. 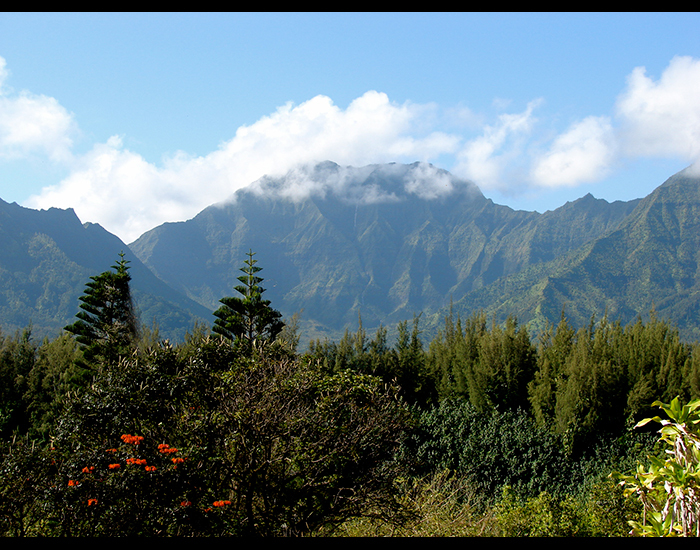 We've had such a good time revisiting Kauai and just LOVED the views from your lanai! As hard as it is to leave, we know we'll come back another time. 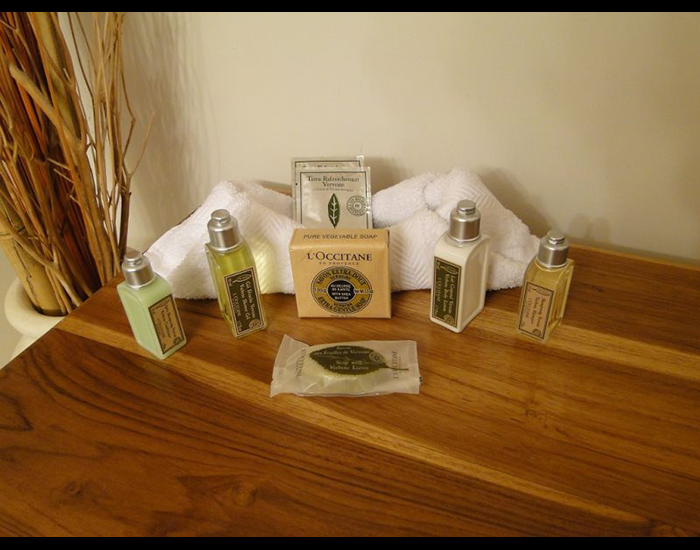 We never tire of all your place has to offer!" "We wanted to have a great vacation to relax and enjoy beaches, sun and nature. This place is a paradise, thank you so much for sharing it with us---WE LOVE IT! Hope to come back here sometime soon. Take care and always enjoy your travel and vacation--it's one of the pleasures of life!!"